Eternity on a Rock: Don't make me slap you with my cap. This cap will knock you unconscious.. 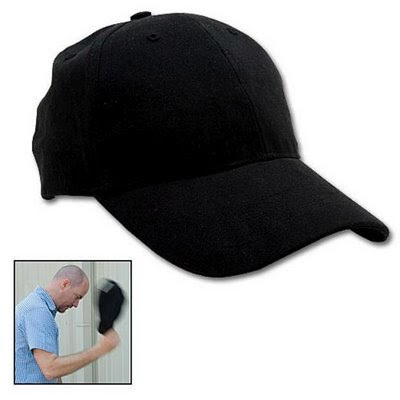 The bill of the cap acts as the handle and dense lead are distributed over the rest the cap material such that a deft swing of the cap is able to knock some punch into someone's face. Just make sure that you use it before the lead makes you go bald... see above picture. Item is great for football riots, May Day speeches, etc.